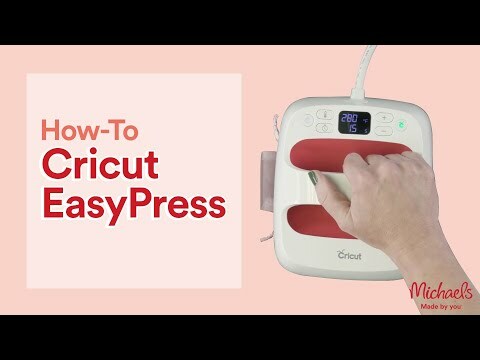 Shop for the Cricut EasyPress® 2 Raspberry, 6" x 7" at Michaels. / Cricut EasyPress® 2 Raspberry, 6" x 7"
Cricut EasyPress® 2 Raspberry, 6" x 7"
This ground-breaking Cricut EasyPress line, Cricut EasyPress 2 is ideal for smaller projects like baby clothes, accessories, hats, and more. Get professional iron-on results in 60 seconds or less. It features an advanced heat plate design with a ceramic-coated surface. The EasyPress 2 is easy to learn, simple to use, is lightweight, portable, and easy to store. The Cricut EasyPress 2 is the perfect complement to Cricut smart cutting machines! Cricut EasyPress® 2 Raspberry, 6" x 7" is rated 5.0 out of 5 by 1. Rated 5 out of 5 by starlin from it was amazing and i use an industrial size press it was amazing and i use an industrial size press for bigger things but this was perfect for smaller bags and gets hot enough to do sublimation !!! !